puddle. I love the idea of using puddles to work on the theme of water. There is also reflection. 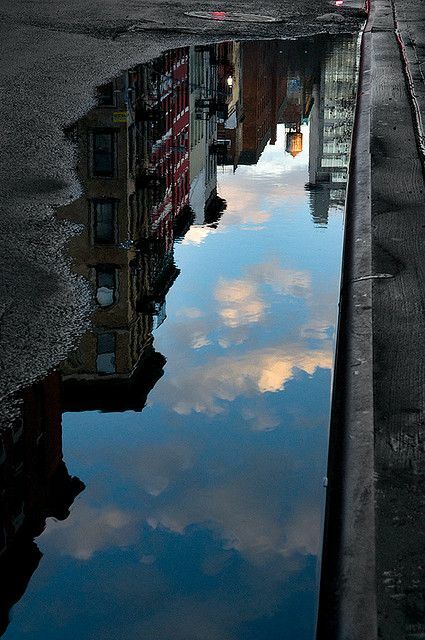 You can look at a puddle and know what is around you. There is like a double life.